In today’s world, a strong SEO strategy is key for successful realtors. Check out some great real estate SEO solutions sure to boost your business, here. Studies indicate that more than half of all website traffic is driven by organic search. This means that, if you want to attract users to your real estate website, you need to focus on making sure your page ranks in search engine results. The key to getting these results is search engine optimization (SEO). With SEO, you can tailor the content on your website so that it aligns with what potential customers are searching for. Ready to take your real estate SEO to the next level? Check out these four essential solutions to get started. Search engine algorithms are complicated, but they essentially focus on two key features: the relevance of a piece of content, and the quality of that content. Algorithms tend to determine relevance based on the presence of specific keywords. They evaluate quality based on several features, including traffic, social media shares, and sites linking back to you. Writing awesome content that targets specific keywords will help with both of these considerations. When you target keywords, users are more likely to find you. When you write great content, they are more likely to read it, share it, and link to it. Most real estate agents work in specific geographic areas. 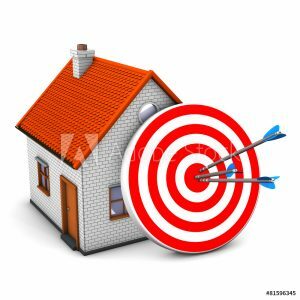 Your goal, then, should be to target users interested in buying or selling a home in that area. It doesn’t matter how much traffic you drive if it is coming from the wrong geographic areas. There are a couple ways to drive local traffic. Make sure to include place-specific keywords in your content. Additionally, list your real estate office on Google places to get more attention. One of the keys to an effective SEO strategy is to answer the questions that users are asking with search engines. A common query among potential homebuyers is for calculating tools. For instance, tools that can calculate your potential mortgage, or how much of a mortgage you can afford, are very popular. Of course, big competitors like banks and financial sites have some of the top search results for these calculators. You can differentiate yours, however, by tying it to the property taxes in your specific area, or by accounting for specific loan programs. They say that a picture is worth a 1,000 words. If that’s true, then a video is perhaps worth even more. Over the past several years, video content has become key to content marketing. Videos are among the most shared forms of content on social media. Simply put, users are more likely to share a video for their friends to watch than an article for their friends to read. Luckily, video content is a natural fit for real estate agents. Creating video tours of a property you are selling or a turnkey rental property can be a great way to generate interest. With these four solutions in hand, you’ll be on your way to building an effective real estate SEO strategy. Need more help developing your real estate agency’s marketing strategy? Then check out this guide to getting your digital marketing strategy off the ground today.